How long do ants live? How come you never see baby ants? What is the life of an ant like? These are just a few of the endless questions an inquisitive preschooler might ask after spotting ants in the kitchen. 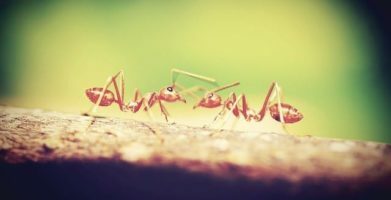 Being interrogated by a curious kid (or anybody else) while trying to deal with an ant infestation is pretty darn stressful, so we’ve broken down the answers to all your burning questions, and we’ve even got a few tips to help get rid of ants too! Of the at least 12,000 different species of ants in the world, just a few hundred are found in the United States. Less than half of those ant species are known to be pests to homeowners. All of that means there is a wide variety in ant life cycles depending on species and habitat. The following information provides a general summary of the types of ants you are most likely to encounter. An ant life cycle is made up of four stages and can take between 6-10 weeks to complete. Ants begin their lives as eggs. Ant eggs are about as big as the period at the end of this sentence. After the egg stage comes the larval stage. Ant larva look like tiny little worms, with no eyes or legs. Molting, or shedding their skin, multiple times as they grow larger, larvae are like eating machines. Larva eat constantly while growing rapidly, but they rely on adult worker ants to bring food. Once the larva is big enough, it will form a cocoon around itself and go through metamorphoses, becoming a pupa. After completing the pupal stage, a fully formed adult ant will emerge. Ants have a hard exoskeleton, six legs, and a body that is segmented into three regions: the head, thorax, and abdomen. The head contains mouthparts which are used for eating and excavating, as well as two antennae which are sensory organs. Antennae are essential for the ant’s sense of smell and touch. Ants use their sense of smell to lead other ants to sources of food, to recognize friends or enemies, and to establish territorial boundaries. The color of an ant depends on its species, but is usually black, brown, or red. Ant colonies are divided into three castes, or groups: queens, males, and workers. All fertilized eggs that reach adulthood are females, while unfertilized eggs become males. Male ants and queens are the only ants that have wings, while worker ants are wingless. Queen ants are the biggest ants of all the castes, and live longer than the other castes. Pharaoh ant queens may live for 2-3 years, but carpenter ant queens have been known to live for up to 20 years! Some types of ants have only one queen per colony, but other ant types have multiple queens in the same colony. Queen ants are the only ant that can have babies or lay eggs. You will probably never see a pregnant ant because a queen only has one job (making more ants) and is protected by the colony. She spends her entire life laying eggs. If you ever do encounter a queen ant, it is probably during the nuptial flight. When weather conditions are just right, usually in the hot and humid conditions following rain, the nuptial flight occurs. Unmated queens and mature males take flight to mate. Males die immediately after mating, while queens seek out a new nesting to site to start their own colonies. Aside from this mating act, most ants don’t generally fly. These ants vary in size depending on what their job is – some workers dig tunnels, others care for the eggs, some forage for food, and the largest worker ants defend the colony. Worker ant lifespans vary by species. Pharaoh ant workers may only live 9-10 weeks, but carpenter ant workers can live for years. As you can see, ants are a complex and fascinating group of organisms, but since the attention span of inquisitive children is short, we’ll leave you with this introduction to the life of an ant. Please comment below if you have any more unanswered questions. 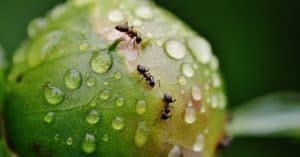 To find out how to get rid of ants and keep them out of your home, please see our article: How to Get Rid of Ants from Your Home, Safely and Permanently. Ants have a hard exoskeleton, six legs, and a body that is segmented into three regions:  the head, thorax, and abdomen. 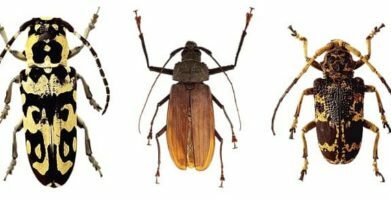 The head contains mouthparts which are used for eating and excavating, as well as two antennae which are sensory organs. Antennae are essential for the ant’s sense of smell and touch. Ants use their sense of smell to lead other ants to sources of food, to recognize friends or enemies, and to establish territorial boundaries. The color of an ant depends on its species, but is usually black, brown, or red. Ant colonies are divided into three castes, or groups:  queens, males, and workers. All fertilized eggs that reach adulthood are females, while unfertilized eggs become males. Male ants and queens are the only ants that have wings, while worker ants are wingless. 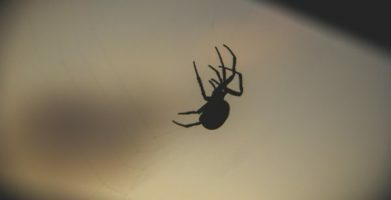 To find out how to get rid of ants and keep them out of your home, please see our article:  How to Get Rid of Ants from Your Home, Safely and Permanently. string(66) "Ant Life Cycle - Exploring the Different Stages of an Ant’s Life"